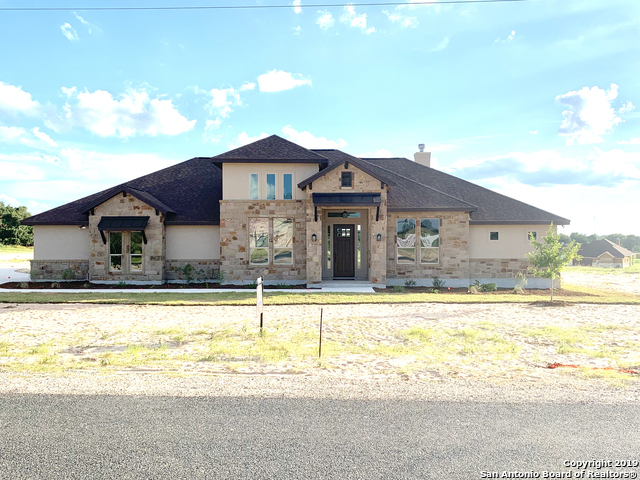 All Floresville homes currently listed for sale in Floresville as of 04/23/2019 are shown below. You can change the search criteria at any time by pressing the 'Change Search' button below. If you have any questions or you would like more information about any Floresville homes for sale or other Floresville real estate, please contact us and one of our knowledgeable Floresville REALTORS® would be pleased to assist you. "Sturm Ranch: huge home, has everything. Open floor plan; kitchen has granite breakfast bar, breakfast nook, open to dining/family room. Butler's pantry, 5 bedrooms, 3.5 baths, office, craft room. Master bath w/dream closet. Land is 49.89 Acres under Ag, fenced, cross fenced, well for stock tank. Pool, pool house w/bath, 3 vehicle carriage house, koi pond, port cochere, tiled veranda, covered outdoor kitchen. 8 stall barn, tack room, arena. Office bldg: 2 story, multiple offices, warehouse, tool "
"Magnificent Mediterranean/Spanish Masterpiece on treed 2 acres! Double arched wrought iron entry doors fortell the upscale luxury of this custom built builder's own home. Spacious w/soaring ceilings featuring unique design accents in many rooms. Generous gourmet kitchen: expansive island/breakfast bar. Custom cabinets & high level granite throughout. Fabulous Liv Rm: large stone FP, built-ins, wall of windows overlooking 40x16 back patio. 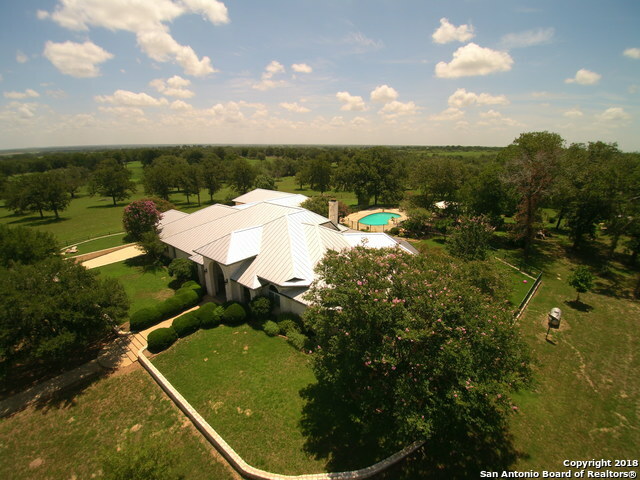 Lavish master bath: center garden tub+walk thru dual head"
"20 acre S TX horse ranch, level & gently rolling, w/ private elec gate. $Priced to Sell$ Solar panels 2016, Carpet 7/18, Appliances 9/18. 4 bed, 3 baths w/ offc & game rm, plus 1 bed 1 bath apt in barn. Offc/5th BR dn. 2 BR + 2 full baths dn. 10 car cov parking is 2 car gar, 4+ car CP, & RV CP. 45x26 barn/shop, 2 story, storage loft up & attached 22x22 qtrs w/ bath dn. 6 stall stables w/ water. Pub water to home & well for landscape & stock. Ideal for stock tank/pond. Fenced & X fenced, w/ 4"
"Property is located 7 miles off of 1604 south, or come in from 181 at CR 775, in the beautiful Broken Arrow Subdivision, surrounded by age-old Oak Trees, a slightly rowing terrain but flat at home and barn. Large Workshop 70 x 30 sqft has Climate Control room, full kitchen and work tables, well provide to the irrigation system, public water system to the house. 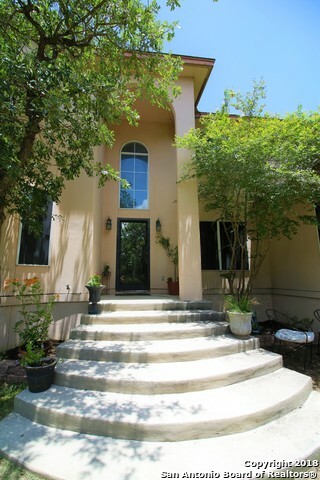 Fruit trees & more, Home is beautiful inside and out, so close to San Antonio. Paved road with privacy fencing around property and yard "
"Over 3400sf Custom Blt Hm w/Upgraded Spray foam insulation & 2000sf Fully Insulated Metal Bldg/Shop w/3-Roll up doors,Central A/C & Bathroom,Water well & Rural Water meter,Propane tank 4 Gas Cooking & Fireplace's,32x16 Patio 25w/Fireplace & 23x22 Gar all on 2-Acres w/Huge trees,HM has 4 or 5 Bd/Study,2-Living Areas/Gm Room,3.5 BA (Jack & Jill),Master Bd & 2nd Bd Downstairs,Gourmet Island Kit w/Gas cooktop,Butlers pantry,Safe Rm,Stained Concrete Flooring & Countertops,Huge walk-in Floored Attic &"
"Beautiful new construction home. Move in ready. Sits on 1.32 acre corner lot. This house has it all. Large island with extra sink in island,pot filler, double oven, eat in breakfast area, barn doors, large family room.Barrel ceiling in foyer and master bath. Large masterbath has a walkin shower,jacuzzie tub, double vanity. 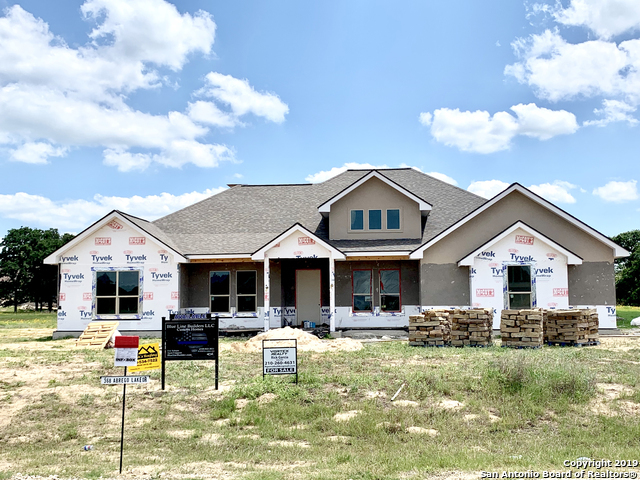 Large walk in closet with a bonus room behind the large mirror.Media room upstairs with a balcony view overlooking the beautiful country scenery, wet bar, half bath upstairs." "Ready for a pool party?! This home has it all! Approx. 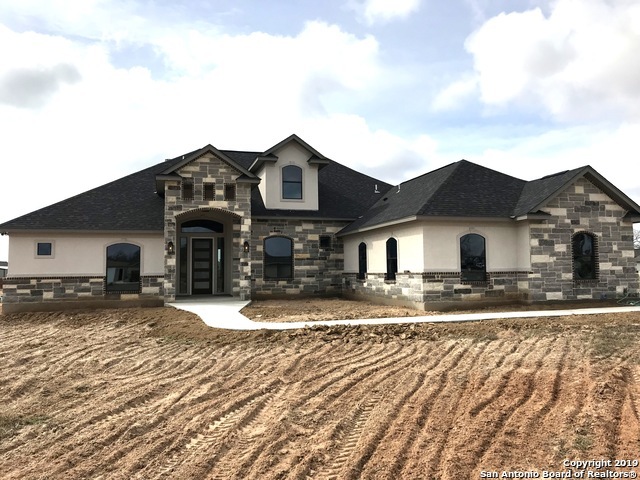 3000 sqft, 4 bedroom + study (could be 5th bedroom), 31/2 baths, open floorpan, raised ceilings, wood beams, stone accents, island kitchen w/ breakfast bar, gas cooking & double ovens, stainless appliances, custom wood cabinetry, amazing master bath w/ dual head shower & jetted tub, built-ins, circular drive way, indoor / outdoor fireplaces, in-ground pool w/fountains, privacy fence, 2 car garage & 24 X 30 metal shop, what more could you ask"
"Stunning custom home located on a 2.5-acre cul-de-sac lot! Perfect for someone that wants a LOT of space! Gorgeous chefs' kitchen w/large island, stainless appliances, granite counters, custom cabinets and more! Open floor plan to kitchen, family room & living room w/fireplace. Large master suite w/spa inspired master bath offering two closets, dual vanities & designer tile shower. A split floorplan offers a guest room complete w/full bath. Large office space. Huge backyard and covered patio. " "Private wooded views! 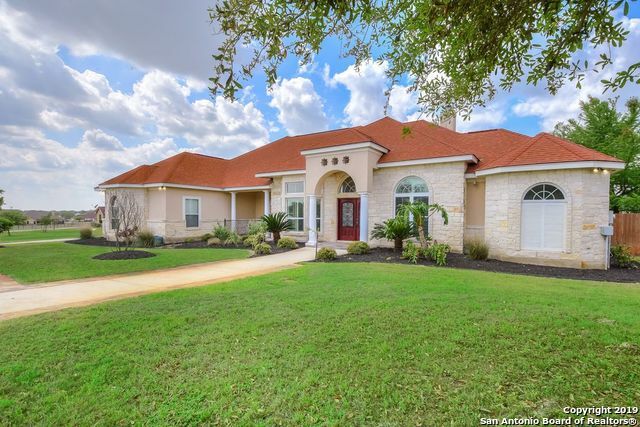 Gorgeous custom estate on over 1 ac in sought after Abrego Lake Subd. Vaulted ceiling and stone fireplace add to the light and bright interior. This 3/2.5 offers extra living space for entertaining on floor 2 & office/craft room on floor 3. Storage galore! Gourmet kitchen awaits. Appliances to convey. Covered porch viewing lush landscaping including 42 olive trees. Community boasts lake fishing and walking trails. Roof replaced 2017. 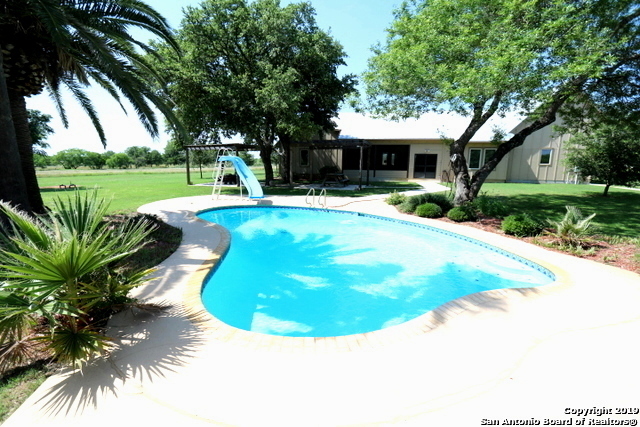 Minutes from the city of SA & Jointbas"
"Breathtaking country views from this Abrego Lake beauty! Plenty of space in this 4 bedroom home, plus an office and a separate formal dining room. Large kitchen with tons of cabinet space with a walk in pantry. Plantation shutters along the front and in the master bedroom." 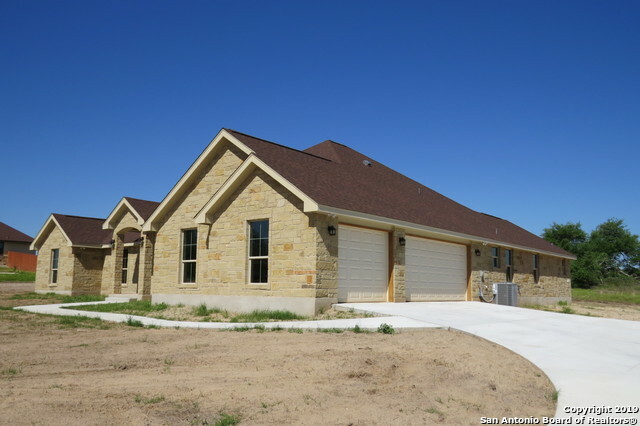 "Gorgeous Home in Abrego Lake! This home has it all! This 4 bedroom 2.5 bath home is customized with all of the finest Finish-Outs! Property has mature trees, sprinkler system and water well! Jacuzzi on back patio with beautiful view of Lake! Fully equipped outdoor kitchen for entertaining! Floor to ceiling fireplace in living room, spacious master bedroom! This entire home has plantation shutters in ever room! Vaulted ceilings throughout! Beautiful stone exterior!" 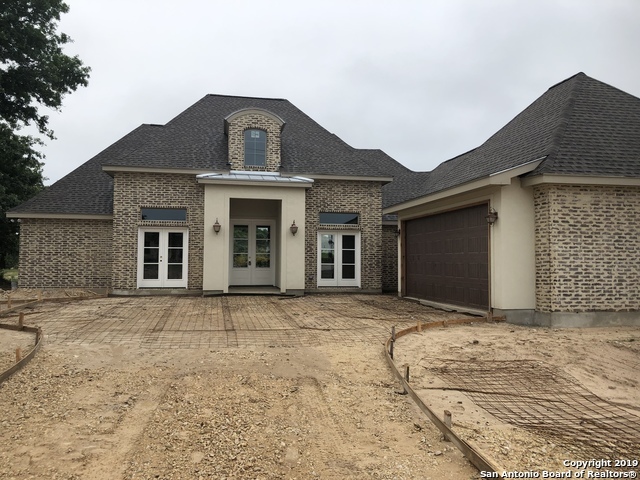 "AMAZING FINISH OUT W THIS BUILDER, WOOD CORBELS, 8FT DOOR ENTRY, WOOD TONGUE & GROOVE PORCHES,CEILING TREATMENT, CHAIR MOLDING, DOUBLE ENTRY STUDY W WOOD FLOORS, COFFER CEILING TREATMENTS, CROWN MOLDING,PICTURE FRAME WINDOW, NICHES, GRANITE COUNTER TOPS, BUILT IN SS APPLIANCE PACKAGE, DOUBLE ISLAND W SINK & ELECTRIC, PENDANT LIGHTS, BREAKFAST BAR, SLOW CLOSE CABS & DRAWERS, UNDER MOUNT CABINET LIGHTS,GRANITE IN ALL BATHS, FRAMED MIRRORS,WET BAR IN GAME ROOM,WIC IN SECONDARY BRMS, DOUBLE VANITY I"
"Welcome to country living at its best! 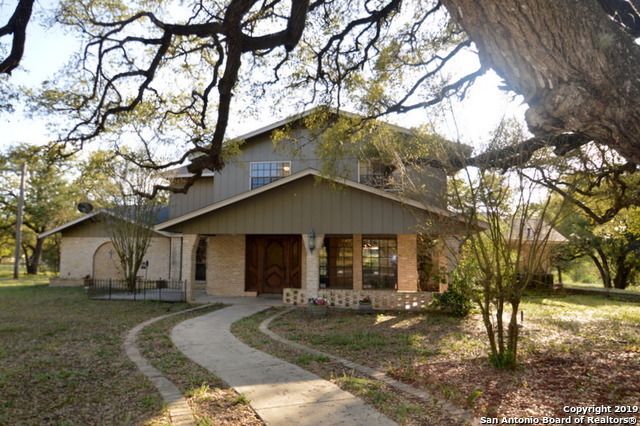 This home is on 5.02 beautiful acres with beautiful oaks. It has an open floor plan, large family room with nice stone fireplace, tile flooring, Plantation shutters, Island Kitchen that opens to dining and family rooms, great flow for entertaining, large master bedroom with ensuite master bath, walk-in closet and double vanity and 3 guest rooms plus a study. Large covered patio with nature view." "Within an hour from San Antonio but far enough away for the country solitude. No city nighttime dome lighting. 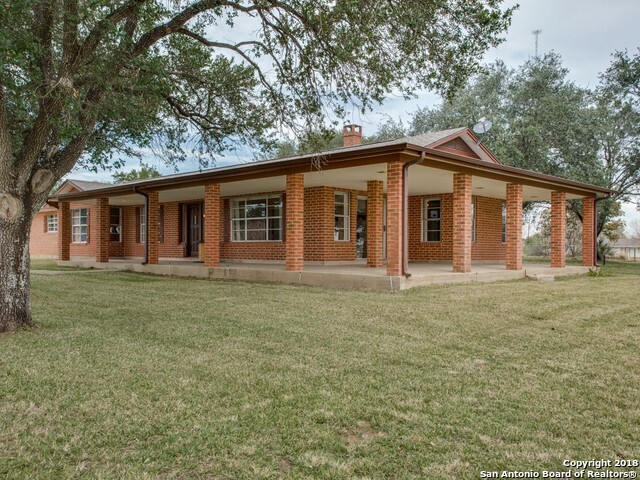 Raise horses, cattle or goats on this Ag exempt 23 acres. 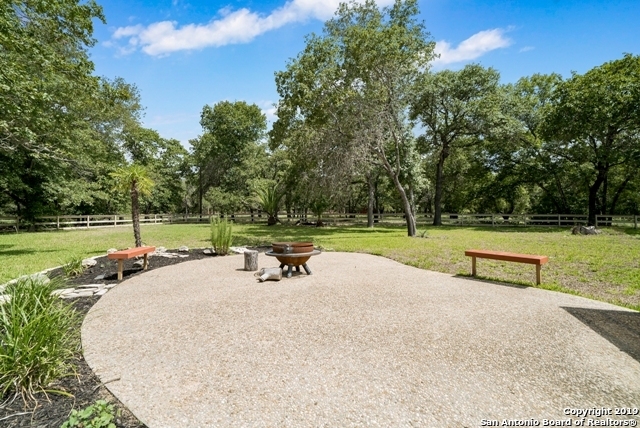 Grow coastal hay, fish in the well fed stock tanks and hunt deer, hogs and turkey on the wooded area that feeds to the historic Cibolo Creek along the back side. A 1950's cir. home was moved to the property approx.ten years ago. Metal shop/garage, barn, storage shed, craft shed, fencing, electric gate and deer blinds. 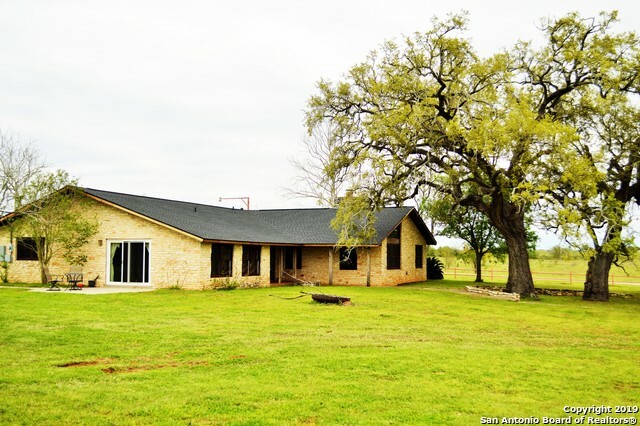 A must s"
"GORGEOUS 4/3 ON 1.2 ACRES IN FLORESVILLE. OPEN FLOOR PLAN, HIGH CEILINGS, LARGE LIVING AREA, EAT IN KITCHEN W/ CUSTOM CABINETS, COOK TOP, DOUBLE OVENS, SEPARATE DINING ROOM, 3 FULL BATHS, SPLIT MASTER W/ SEPARATE VANITIES, GARDEN TUB, WALK IN CLOSET, WOOD GRAIN CERAMIC TILE IN ALL LIVING AREAS, CARPET IN BEDROOMS, LARGE COVERED BACK PATIO WITH FIREPLACE AND OUTDOOR KITCHEN, 3 CAR GARAGE. IT'S A MUST SEE!!" 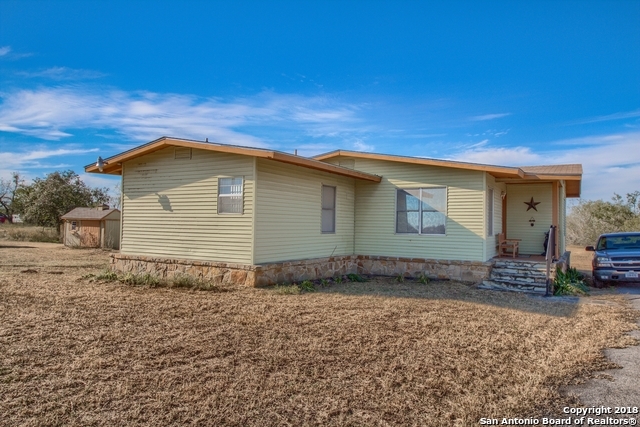 "Beautiful country home on just over 1 acre lot, located in the Abrego Lake subdivision. This 4 bedroom,2.5 bath, 2 car garage features an open floor plan with a fire place in the family room. Island Kitchen, Breakfast nook with separate dinning area. Granite counter tops, flat cook top, built in microwave and stainless appliances. Upgraded fixtures throughout the house. Walk in closets and ceiling fans in all rooms. Whirlpool tub and walk through master shower." "Space, space, space! 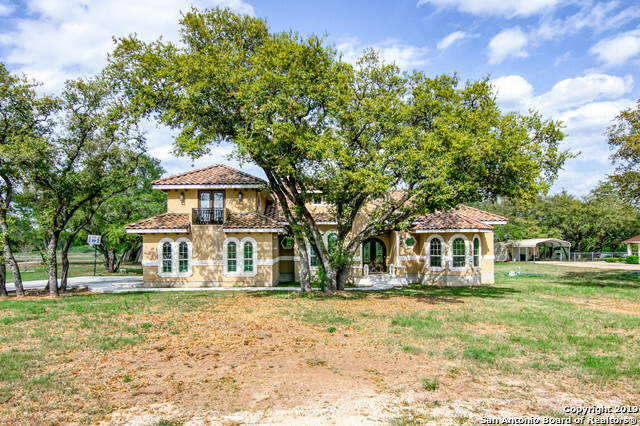 Large Spanish style home with 2 casitas that sit on 2 acres. This 4th bedroom house with a study is set up for entertaining with lots of architectural details. Large deck with picturesque views, this property has too much to offer so come and take a look before your dream house is gone!" 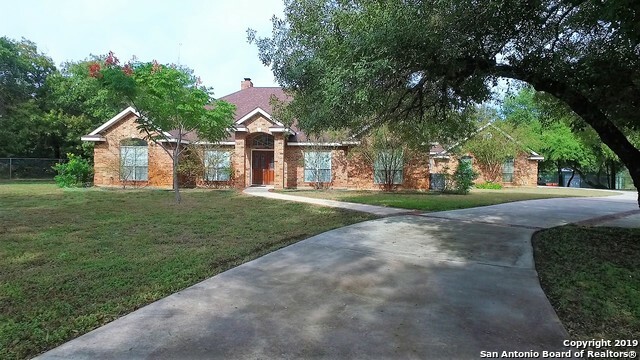 "Gorgeous country home on 1 acre lot located in the Abrego Lake subdivision. This 4 bed, 2.5 bath, 2 car garage features an open floor plan with a large family fire place. Island kitchen , breakfast area, formal dining area, granite counter tops, flat cook top, built in microwave, stainless steel appliances, upgraded fixtures through out the house. Walk in closets and ceiling fans in all rooms. Whirlpool tub and walk through master shower. Full masonry exterior, large covered patio." "Don't miss this amazing custom gem w/open floor plan at the end of a quiet cul de sac in the highly desired Abrego Lake community. This entertainer's delight with open living/dining/kitchen area with floor to ceiling stone fireplace, Kitchen has abundant granite counter space w/Double oven, elevated island and huge walk-in pantry. Master bath has heated floors with a grand walk-in shower . 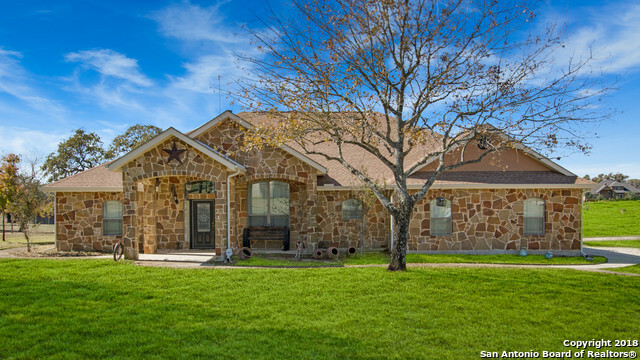 Game/Media room has a wet bar(will convey) and great covered patio w/Gas outdoor kitchen.All doors are 3ft"
"Super large bedrooms in this great home on just over 2.0 acres located in Floresville, TX. 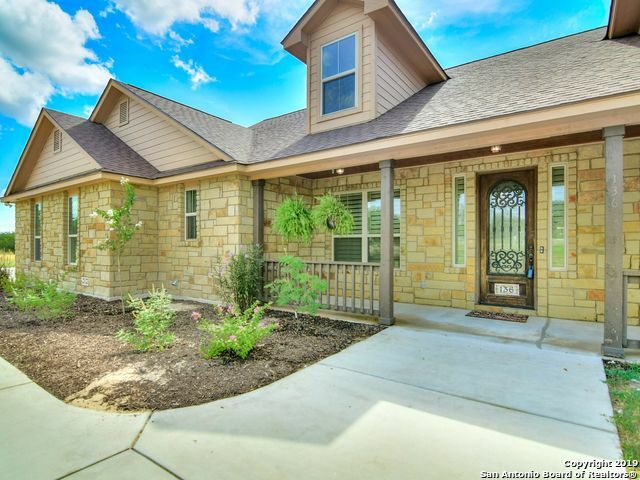 Home includes 407 SF covered front porch and 1,097 SF covered back porch. The owner has recently replaced the roof, HVAC system, installed all new flooring, new kitchen appliances and updated the bathrooms. Included is a 50'x30' workshop, sprinkler system, fencing and more. Call today for more details!" "ATTENTION PLEASE !! 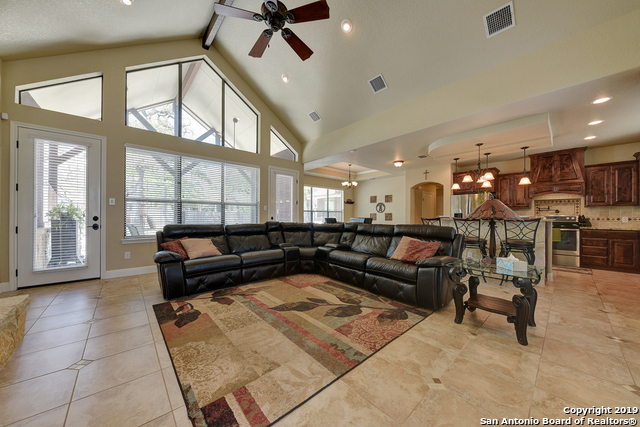 I promise you this LUXURIOUS home will beat everything you have ever seen in Floresville. This builder does not build cookie cutter homes !!!! Modern meets country. So elegant and so Chic. An architectural masterpiece with the highest level of quality & taste. Spread out on almost 2500 sqft, 4 bedrms and 3 full bathrooms w/ an incredible indoor outdoor flow, perfect for entertaining. THIS HOME IS A MUST SEE !! #WHATAREYOUWAITINGFOR #HURRY !!!"